Hillary Clinton’s pneumonia diagnosis, and her campaign’s subsequent handling, is hurting her already waning polls numbers. 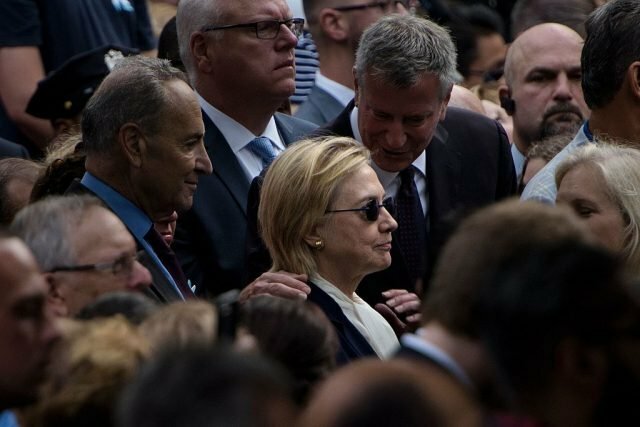 According to the latest poll, conducted by YouGov in partnership with the Times of London, only 45 percent of American voters believe the Clinton campaign’s explanation for why she suffered a “medical episode” at Sunday’s 9/11 memorial service in New York. Furthermore, 46 percent of voters don’t think Clinton has pneumonia at all and is suffering from a different, undisclosed illness, while nine percent said they didn’t know what to believe. The poll also found that, while 38 percent of surveyed voters thought Republican nominee Donald Trump was healthy enough for office, only nine percent thought the same of Clinton. 35 percent of voters thought both candidates were healthy enough for office. The poll surveyed 1,910 respondents on Monday, one day after Clinton disclosed her pneumonia diagnosis.